The documents (in English and German) that came with a Kamei front spoiler. These are the documents that came with Kamei front spoiler. 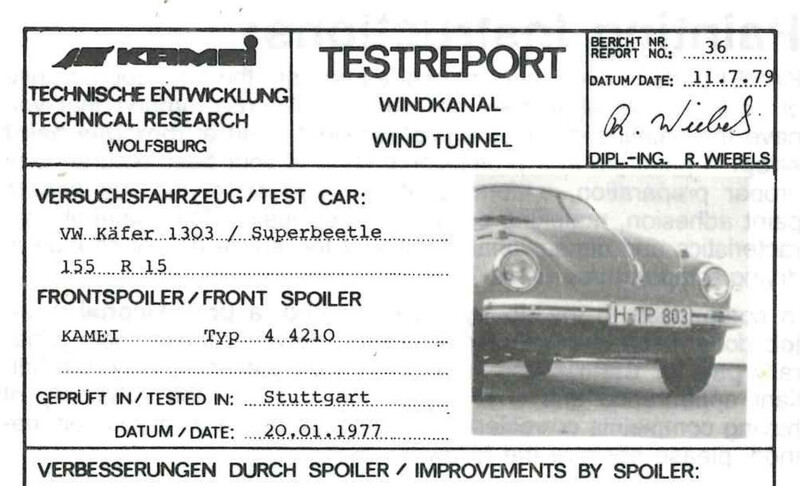 These are the documents for model number 44210, which is the spoiler for the 1302 and 1303 beetle (called Super beetle in the US). If you have model number 44211, then you have the spoiler for the standard beetle. But these documents will apply to that spoiler too. This page shows the model number and the german security inspection number, KBA 35003 ( model number 44211 has inspection number KBA 35004).